Today, Oncomedics is a service company dedicated to support scientific breakthroughs in the treatment of cancer. 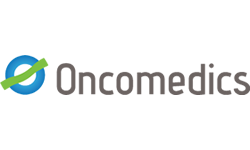 Based on our expertise, Oncomedics has developed OncoTRIP™- Tumor Response Index & Profiling, a unique, centralized ex-vivo platform to profile new agents on tumor-derived primary cell cultures. Our cancer models are standardized, fully validated through scientific publications, and offer an array of testing services centered on tumor-derived primary cancer cells.. Selection of relevant tumor types for further in-vivo testing. Oncomedics is a french company founded in 2006 for personalized cancer care. Oncomedics has developed a theranostic technology: the Oncogramme, based on human primary cell cultures of tumor tissues. Oncogramme create a functional profile of a patient tumor’s sensitivity and resistance to various drugs and combinations to give to physician the most accurate information to treat patient’s cancer. The Oncogramme is validated clinically for metastatic colorectal cancer. Our technology uses defined media to obtain reliable and standardized tumour models, fully validated through scientific publications and “CE” marketed. We offer both diagnosis service for patient’s personalized medicine, as well as licencing of our technology if you wish to performed functional assay in your own laboratory.